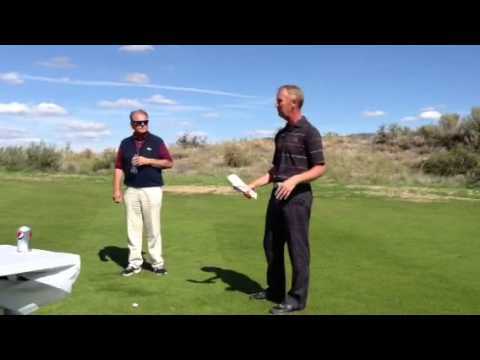 Gamble Sands golf, located about an hour north of Wenatchee Washington. Designed by David McLay Kidd, the course is owned by the Gebbers family and overlooks the Columbia River. Built entirely on sand, Kidd was able to bring his background in links golf to create a dunescape with minimalist approach. 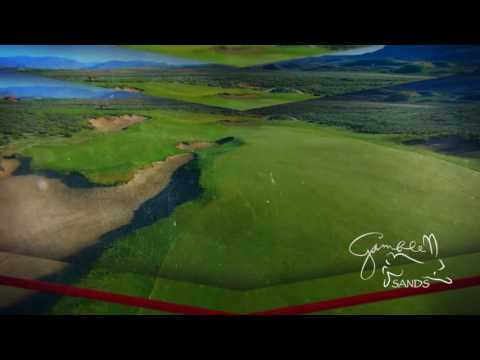 The Gamble Sands golf course is a true links course set in the high desert of Washington with sandy soil, traditional fine fescue grasses, firm playing surfaces, wide fairways, and massive greens. The Sands course offers a very playable experience that weighs in at 7,169 yards from the back tees and plays to a par 72. It’s more akin to some of Kidd’s earlier work at Bandon with an emphasis on having fun. This is illustrated throughout the golf course, especially on the reachable par-4 2nd hole with its breathtaking view of the Columbia River, or perhaps on the split fairway of the par-4 14th. The concept of Gamble Sands began with the vision of a high-end, Pacific Northwest destination resort community highlighted by a variety of outdoor recreational activities. The first step – the debut of the highly acclaimed Sands course – set the foundation for future plans that include another golf course, quaint outdoor amphitheater, equestrian activity center, spa & fitness center, and limited private real estate and lodging opportunities. It is the many outdoor activities, including world-class golf, surrounding Gamble Sands that provide guests with the type of flexibility that appeals to a wide range of interests. And with leadership tied to the local community for more than 100 years, the Gamble Sands project will develop deliberately with the health of the area’s economic diversity always in-mind.